I have a piece in this benefit show of 1500 postcard size pieces of art. All displayed anonymously. 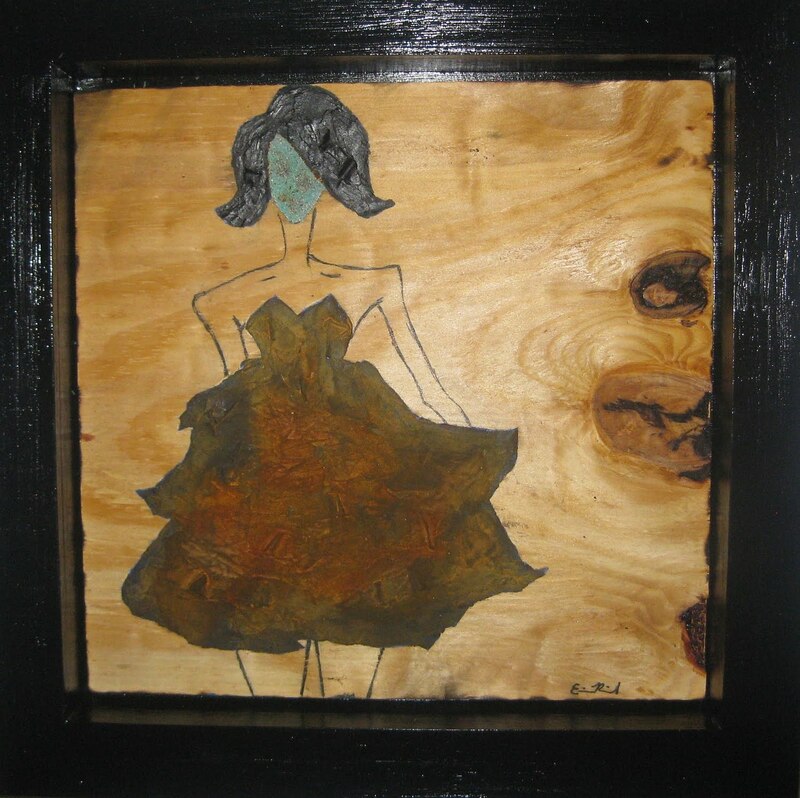 Once you purchase a piece, you will be given the artist's name and information. Hoping that mine is sandwiched in between, Yoko Ono's, Robert Langdon's, Terence Koh's and Robert Greco's!!!! Postcards From the Edge is a Visual AIDS benefit show and sale of original, postcard-sized works on paper by established and emerging artists. All works are sold on a first-come, first-served basis. The works are signed on the back and exhibited so the artists' signatures cannot be seen. 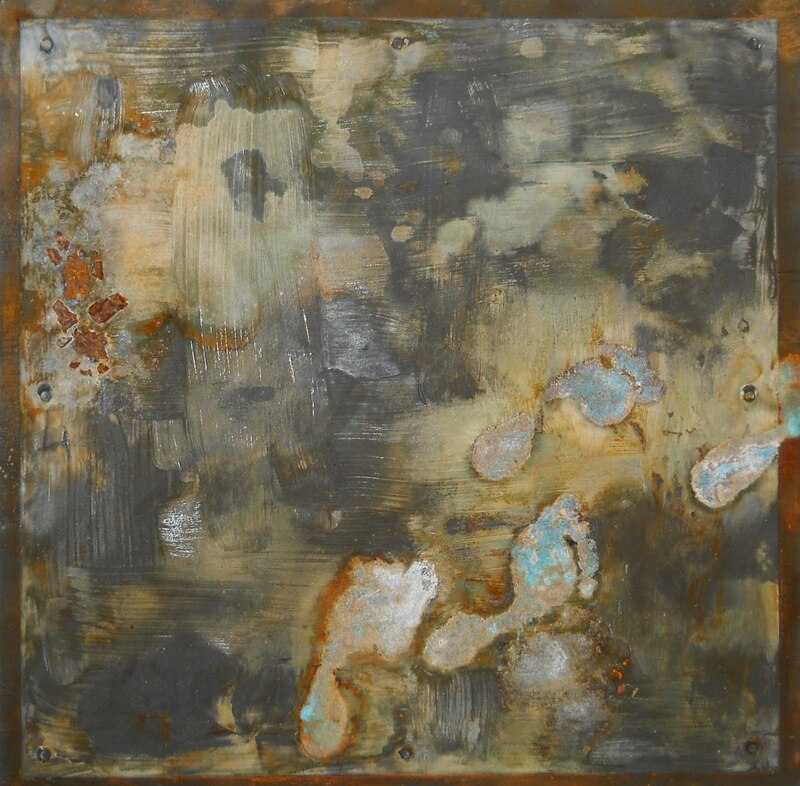 While buyers receive a list of all participating artists, they don't know who created which piece until purchased. 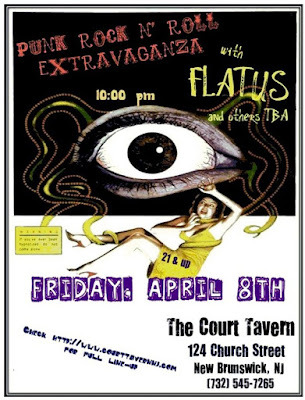 All proceeds support the programs of Visual AIDS. Visual AIDS utilizes art to fight AIDS by provoking dialogue, supporting HIV+ artists, and preserving the legacy -- because AIDS IS NOT OVER! Sneak Peek: The only opportunity to see the entire exhibition. No sales. 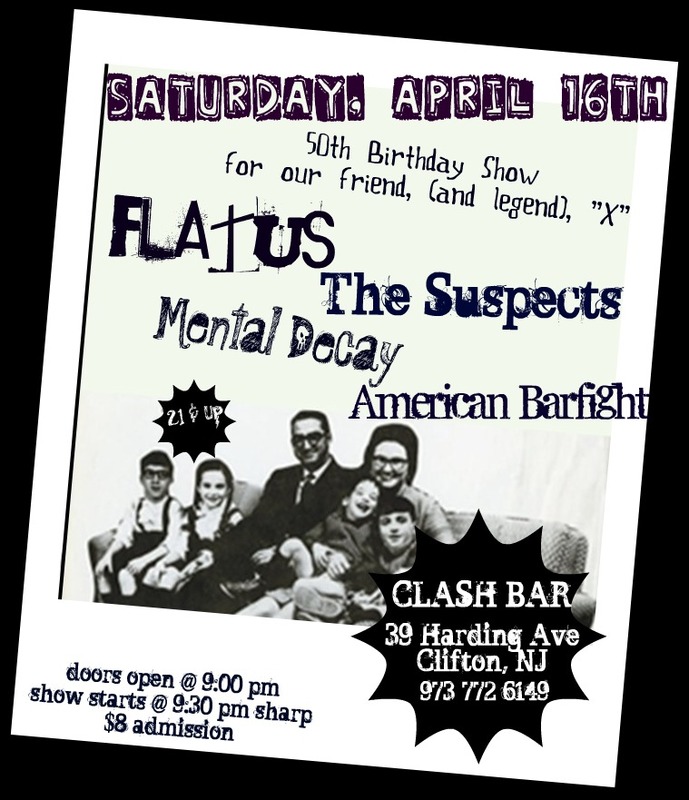 $85 Admission, payable at the door, includes a raffle ticket. Raffle prizes include a chance to pick the FIRST postcard that evening. Participating artists attend free. 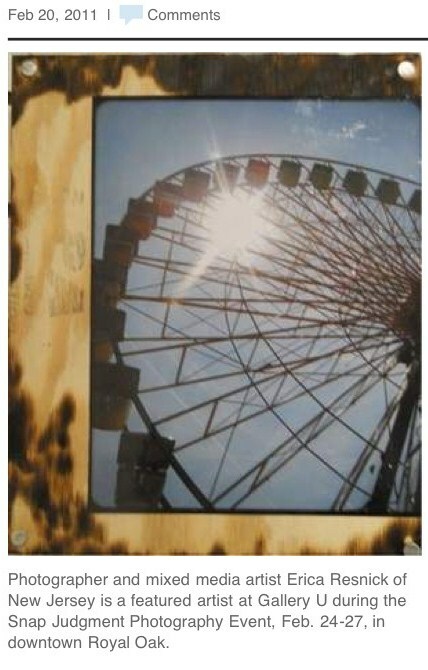 Take a guess: Over 1500 anonymous displayed postcard-size masterpieces. Man walks into a gallery. Eyes up a piece of art that he MUST have. The kind Gallery folk inform him that it has already been sold. He comes back months later inquiring about new work by that artist that he liked. Gallery contacts the artist. Artist brings in a new piece of work. The Gallery elves then email the fan with the news. Not even 24 hours later he races in and buys the piece of art. I am that artist. This is the piece. Man----unknown. 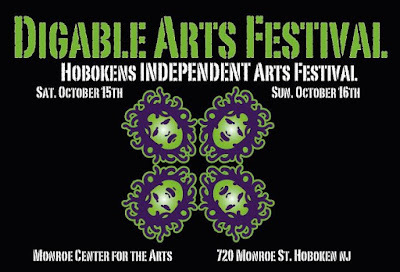 Come check out The Biggest Art Event of the year in Hoboken! The ARTISTS STUDIO TOUR. Ok...so I don't have a studio, unless you count my living room floor...but I've been asked to join these artists to display some work. --5 floors of Artists, Artisans, Photographers,Musicians and Vendors. And...a few photos from the event too!! 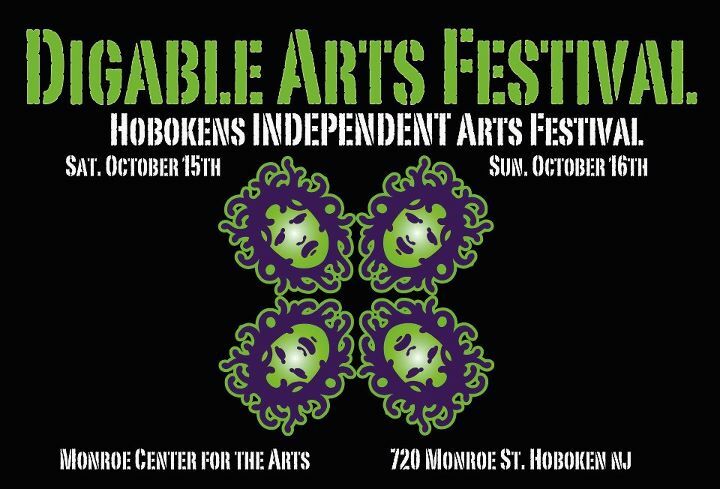 The DIGABLE ARTS FESTIVAL is BAAAAACK! 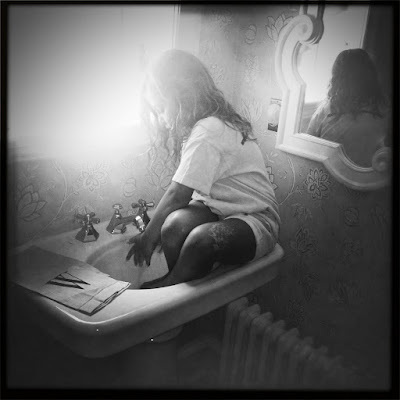 A weekend of awesome thangs! 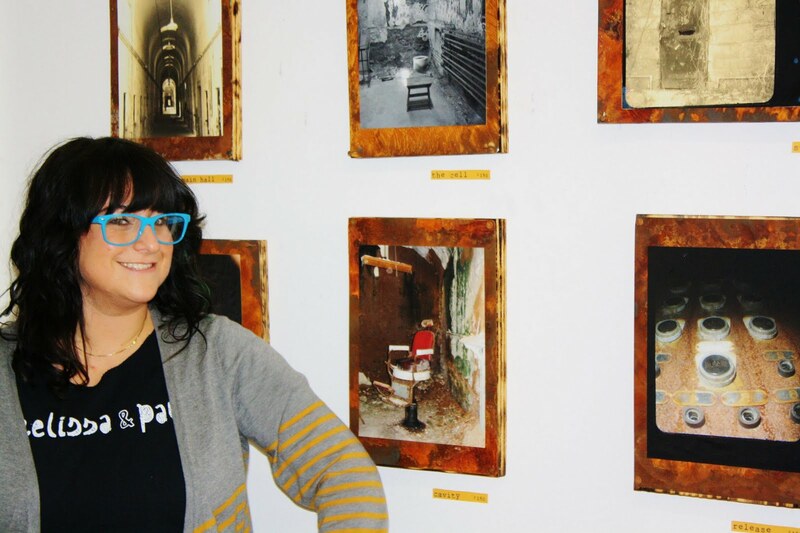 The Digable Arts Festival will encompass the entire third floor of the Monroe Center. The entire third floor will be converted into an art exhibition space, with a multitude of art installations. We have over 8 different galleries each with its own vibe, collection of talented artists, vendors selling some very cool stuff and a bevy of musical stylings to keep you interested all weekend. Follow signs towards the Lincoln Tunnel and exit before the tunnel at the "Last Exit In New Jersey, Weehawken, Hoboken". Turn right at the second traffic light onto Park Avenue. Follow signs to Hoboken. At 8th Street in Hoboken, make a right. . The entrance to the parking lot is just before the 8th street entrance for the light rail on the left hand side. The Monroe Center parking lot is located at 7th and Jackson Streets, directly behind Monroe Center for the Arts (720 Monroe Street) and adjacent to the 9th and Congress Street Light Rail Station. HOPE TO SEE YOU THERE! It's going to be crazy fun! Head over to Gallery U, 179 Glenridge Ave, Montclair, to check out my piece that was in the Gallery U Annual Fashion Show. It will be hanging there for most of the month of October, unless someone heads in and buys it! Hurray! Go check out the lovely "Mrs. Weinstein"! 6:23 show was great! Thanks to ALL of my people that came out to support me. A lot of new people in my life and people coming back into my life too! So nice to have your support!!!! 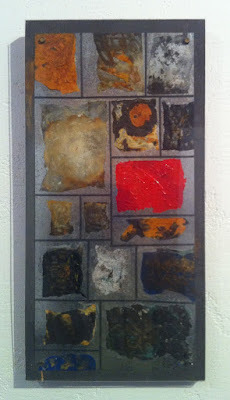 For those who missed it, you can STILL see all of the art in the 6:23 show at Gallery U. It's all hanging up for the next month or so. 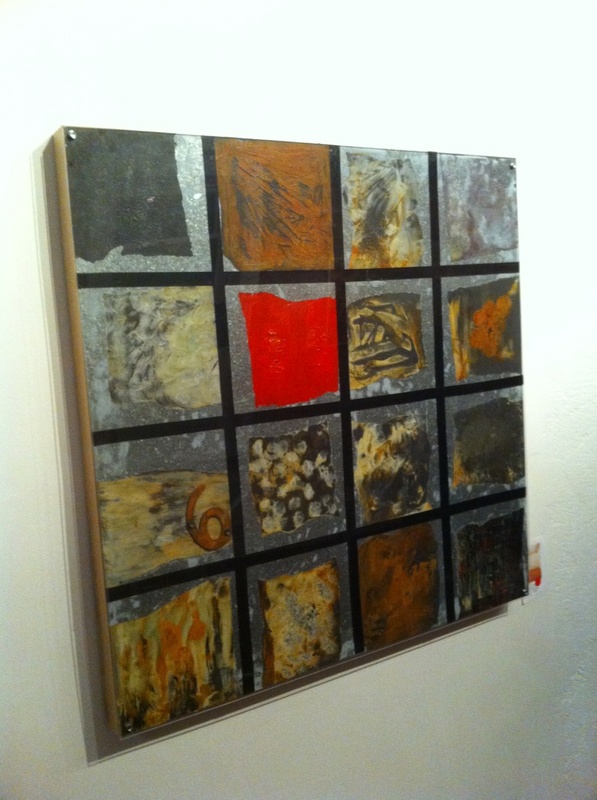 So stop by 179 Glenridge Ave, Montclair, during Gallery hours to check out the art!! Again...ALL of the pieces in this show are ONLY $60.23!!! So go get yourself some art! Gallery U presents "6:23" a collection of contemporary affordable artwork priced at $60.23. That's right...art you can afford!!!!! DON'T MISS THIS! Opening with the artists from 6-9. 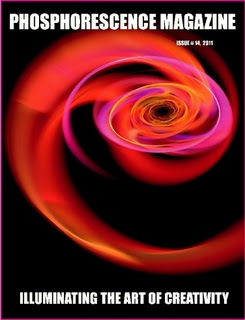 "In this issue, check out Teseleanu George's interview of Eric Robinson, the work of artists Amanda Cabanillas, Gillian Fournier, Susan Handschiegel, and Erica Resnick, a review of Garrett D. Tiedemann's short film The Disappearance of M, and music reviews of The Black100s, Jerry Costanzo, and Mutant Press. PLEASE NOTE: This issue is meant for mature audiences because of explicit language and violent subject matter. " Watch the Magic at the O>Matic Studio! If you didn't see it LIVE, you can STILL watch it! On your computer or on your smartphone...Check out this episode of The Chris O>Matic Show with ME as the guest! Thanks to Chris, Tobor, Skippy and even Pat Erson for having me on! I had the best time!!!! Thanks to all of the folks who tuned in to watch! Means a lot!!!! Tune in each Monday for a new episode of the Chris O>Matic Show! To check out the artists, galleries and upcoming shows mentioned on tonight's episode...look here! ME on the little screen! Well...I guess it depends on how big your monitor is! I will be the guest on this week's episode of The Chris O'Matic Show. 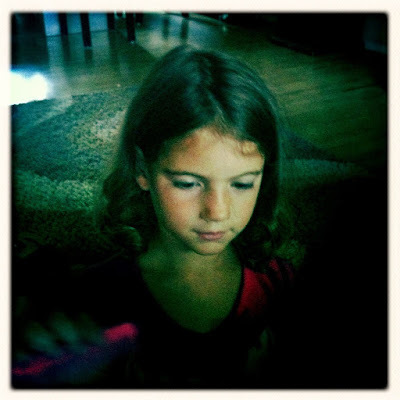 It's a webcast brought to you live each week! 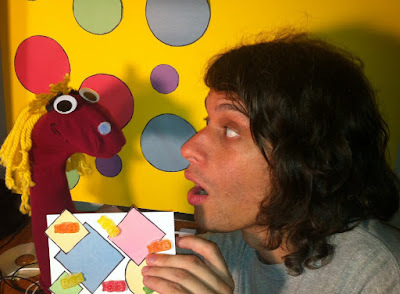 There are cartoons, videos, puppets, dancin', Chris, Tobor, Skippy and ME! What more could you want ?!?! MONDAY, June 13th at 7:00 pm. You can participate LIVE in the chat room with Chris, Me and the whole gang! You can also CALL IN! SKYPE in Instant Messages! It's tons of fun for everyone! So...set your phone reminders! Mark your calendars! And...I'll see you there! 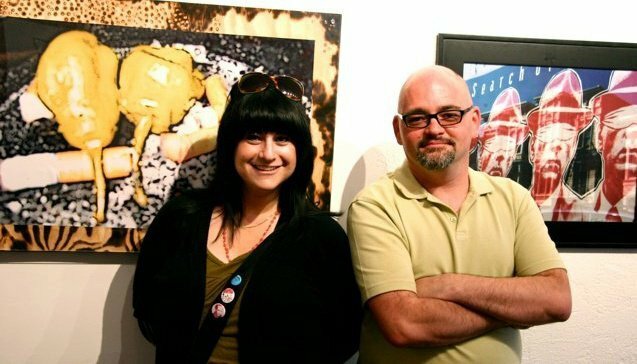 "Punk" Art Show at The Irish! 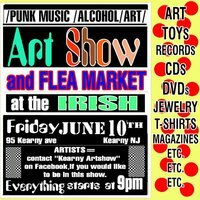 "Punk" Art Show and Flea Market! You should come. It will be better than lima beans and most definitely equally as good as a nice pinto. and a COLLECTIBLES FLEA MARKET, all in one night! 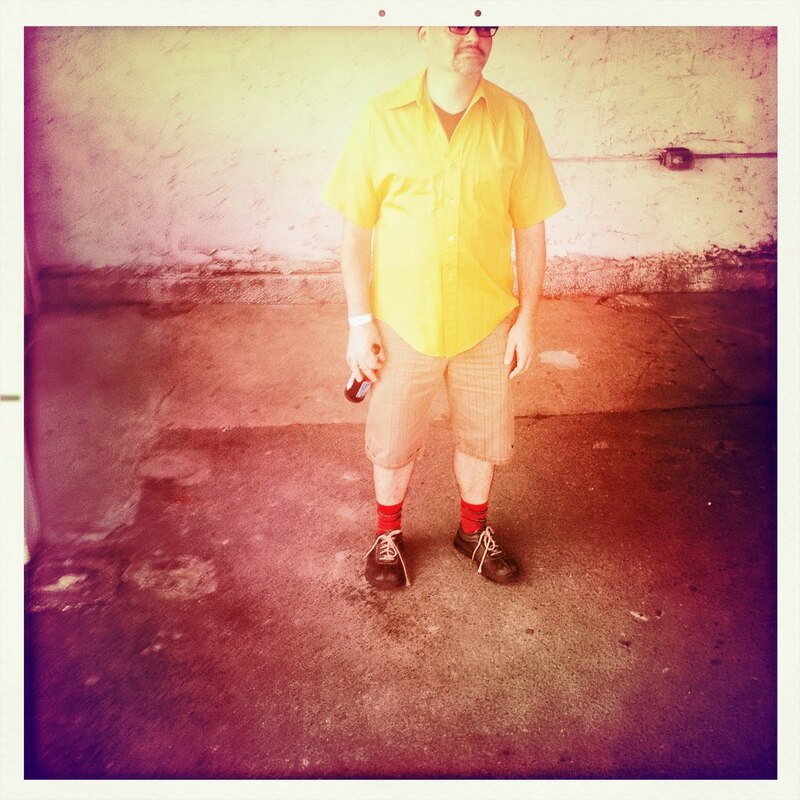 And stay tuned for news about an upcoming web show (The Chris O'Matic Show) that I will be a guest on next week! Mark your calendars, Monday, June 13th @ 7:00pm. Details to follow soon!!!!!! Here's a photo from the evening. It's me and my good friend Robert Langdon, posing by our respective pieces. Thank you to Gallery U for hosting Montclair's Gallery Walk!!! It's an honor to show at your gallery! This Thursday, May 19th MONTCLAIR is having a Gallery Walk from 6-9pm. 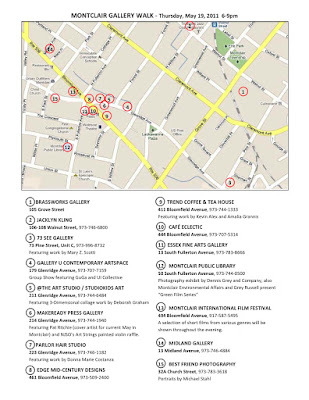 Stroll through 15 venues showcasing art!!!! 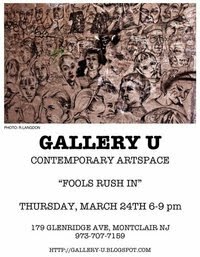 I will have a piece at Gallery U, 179 Glenridge Ave, (#4 on the walk). 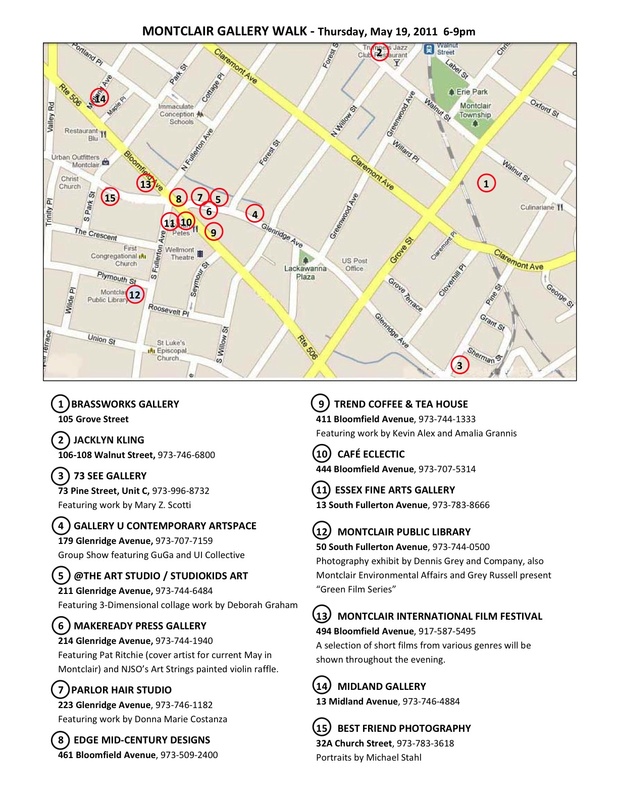 Stop by any of the venues ahead of time to pick up a map which also has a coupon for 10% at some fabulous Montclair Restaurants for that evening! 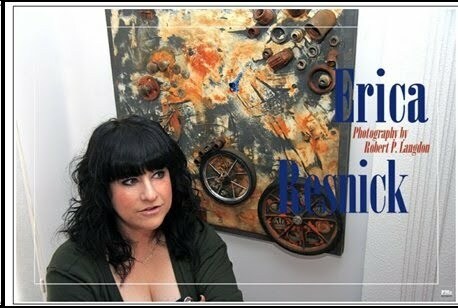 Photographer Patrick McMullen's online Magazine, (pmc-mag.com), is featuring little ole' me! Check out the "Who Am I?" section for my photo and FULL interview!!!!!! Special thanks to Robert P. Langdon for taking the awesome photo for this interview and to Jillian Mercado (editor at pmc mag) for this opportunity!